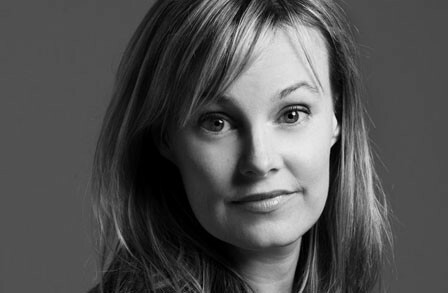 Suzanne Buffam was born and raised in Montreal, Canada. She earned an MA in English from Concordia University and an MFA from the Iowa Writers’ Workshop. Her poetry collections include Past Imperfect (2005), The Irrationalist (2010), and A Pillow Book (2016). She has received the CBC Literary Award for Poetry and the Gerald Lampert Memorial Award. Buffam teaches at the University of Chicago. Recently, our Associate Editor, Lisa Olstein, had a chance to ask Suzanne a few questions about her most recent collection of poetry. Lisa Olstein: What questions or obsessions urged this particular work into being or revealed themselves in it? Suzanne Buffam: This book took shape during the disorienting dawn of my new life as a mother. I’d say my primary concerns at that time, on the conscious level anyway, basically boiled down to the two essential questions of motherhood: how not to kill the baby, and how to get a good night’s sleep. Over time, meanwhile, all sorts of larger, harder questions revealed themselves, questions that will no doubt continue to vex me all my life—questions of class privilege, gender, race, married love, creativity, free will, pettiness, loneliness, and aging, to name a few. Underlying them all, of course, as I find with almost everything I write, lurks a chronic, melancholic obsession with death. And with pillows. LO: “Form sets the thought free,” says Anne Carson, and I believe her. How did form and thought co-evolve in the unfolding of this work? SB: Well, in this case, it was less like the sudden release of a bird from its cage, I would say, than like a snail’s plodding secretion of its shell in the dark. Perhaps not surprisingly, the lists came first, during the interminable, bleary years of early parenthood, when complete thoughts eluded me, to say nothing of complex sentences. I was writing nothing but lists in those days—lists of diapers, feedings, groceries, first words—and I found that if I squinted, and if I held them at the proper distance, in the dying light of my headlamp on my pillow before dawn, they bore a passing resemblance to poems. As a literary form, I discovered that the list lends itself to a certain streak of anarchic play. The prose paragraphs, with their extended sentences, sometimes ridiculously delayed main clauses, and florid modifiers, arose more or less as a reaction formation to the restrictive parataxis of the lists. For reasons that perhaps best remain unarticulated, I applied one flimsy formal gimmick to the shaping of these blocks. Each pillow-shaped paragraph in the book, I decided, would have to contain the word “pillow” at least once. This caused awkward contortions, at times, but also opened several doors. At some point, I picked up Sei Shonagon’s 11th century Heian Pillow Book which I’d owned for years but had never cracked open, and discovered that these two distinct forms—the lists and the paragraphs—were parts of an ancient Japanese “formless form.” Once I found that out, I was off to the races (the snail races, that is). LO: What’s the relationship between the speaker’s “I” and you, yourself? How is the book’s “I” informed by your eye? SB: I lack almost entirely any plot-driven, character-building strain of imagination. My wandering eye, therefore, supplied my “I” with much of the material in this book. My speaker resembles me in almost every salient way, right down to her dreams. We are not, however, identical, she and I. She is of course a lot less generous, considerate, patient, compassionate, self-aware, socially conscious, well-adjusted, attractive, graceful, humble, and wise than I am, for starters. She is also a lot more competitive. That said, thanks to endless hours of obsessive-compulsive revision, navel gazing, and frequent overdoses of caffeine, alcohol, nicotine, and self-loathing, she became a good deal more articulate. LO: Did you have in mind any identifiable recipients for the utterance of this work? Did your sense of how or to whom the work was speaking evolve? SB: I think it’s fair to say that in order for anything I write to hold my interest for long, my primary audience has to be myself. That said, I seldom felt alone throughout the writing of this book, however solitary the work may have been. It was written in conversation with a thousand-year-dead Heian courtesan, for one thing, and holds my daughter more or less constantly in mind. I shared the manuscript with a circle of generous friends over the years (as you know!) and submitted it section by section, for better and for worse, for richer and for poorer, in sickness and in health, to my spouse and in-house editor, Srikanth Reddy, whose painstaking scrutiny sustained it. In the end, the book is dedicated to my mother, who would give me the pillow from under her head—and in fact often has. SB: Committing to it, to the compulsive and tedious labor of its making, year after ever-fleeting year. LO: How do the aesthetics of A Pillow Book inform its ethics, or, how do its ethics inform its aesthetics? SB: Sei Shonagon’s Pillow Book, which underwrites mine, is underwritten in turn by a historically specific set of cultural ideals. Brevity, subtlety, irregularity, speed—all are central to traditional Japanese aesthetics, and reflect, in so far as I understand it, anyway, a Buddhist understanding of existence as imperfectible and transitory. I’m no scholar of East-Asia, of course, nor am I, to my knowledge, even remotely Japanese, but these values, on some retro-Orientalist level, have always appealed to me, as I sit perched on an embroidered satin pillow sipping kombucha in my Etsy kimono watching the spruce outside my window fill with snow. Sei Shonagon, meanwhile, as many critics point out, with all her snobbery and vanity and self-contradictory pettiness, was far from perfect herself. She gloats, she holds grudges, she alternately despises and aesthetizes the poor, and dwells for pages at a time on her many subtle victories over rivals at court. Not once throughout the thousand-plus pages that remain of her life’s work does she mention even in passing the constant famine, plague, and warfare unfolding in the provinces. Over a thousand years after her death, however, the opening passage of Shonagon’s text is still memorized by millions of Japanese schoolchildren every year. There’s an ethics to her aestheticism, it seems to me, in all its clarity and restraint. LO: What’s your sense of the aural life of this work? What role did music play in the generative process, in revision? SB: Maybe because the forms I was using—the list and the paragraph—are so inherently prosaic, music and timing felt especially vital to the shaping of this work. In a literary list, I found, timing is everything, and in a sentence, syntax is song. Every time I reread this work, which I did almost incessantly, night after day after night over the years, I revised obsessively towards some half-imagined tone that kept eluding and guiding me in the dark. SB: Long poems are hard, I found out. As I groped through dozens—if not hundreds—of drafts over the years, I found articulating my own relationship to time to be the most vexing of problems. During the early years of parenthood especially, as everyone knows, time moves swiftly and glacially at once. There’s the hurtling sense of moments passing, supplanting each other in an ever-dissolving present along some terrible, intractable continuum, of course, but there are also endless eddies, rivulets, and branchings, not to mention sudden vortices of boredom and joy. The narrative arc of this book, which spans a single winter in Chicago, chronicles, among other subplots, the shock of the first Polar Vortex, the popularization of the term “Anthropocene,” marital strain, teaching anxiety, writers’ block, and the transformation of my toddler into a girl. I found that complex syntax could be used to slow time down within a paragraph, while swift juxtapositions could propel it. In my dreams, time travels through the story both horizontally—along the fiction of a linear sequence of events—as well as vertically—down through memory and history and literature and dreams. But on the page, of course, it’s just a patchwork of miscellaneous parts. LO: What kept you company during the writing of these poems? Did any books, songs, art works, philosophical treatises, snacks, walks, or oddball devotions contribute to a book-specific creative realm? SB: Apart from my family—not to mention our cleaning lady, my daughter’s caregiver, and a seemingly endless parade of houseguests, birthday parties, faculty dinners, date night waiters, crime feed updates, Facebook links, fellow insomniacs lurking in obscure corners of the internet, and household appliance repairmen—Ivan Morris’s 1967 translation of Sei Shonagon’s Pillow Book became my principal companion throughout the writing of this book. That, Trazodone, and earplugs, that is. SB: Having spent the past half-decade devoted to the dark, I feel drawn toward daylight, these days. I have some ideas, but I’m only now beginning to find time.